All of us want to save money and want to know how to live on a tight budget. 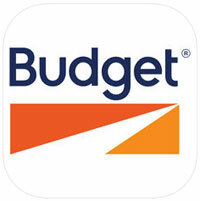 After you have earned huge amounts, don’t get confused but go through the following best budget apps. These will manage your money by keeping you to a specific budget and enabling you even to handle investment decisions. These budget apps will also tell you the ways about how to save money on a tight budget in the end. You can be benefited from a number of best budget apps that have been launched to guide you how to control your personal finances. Every few weeks, new money management and budgeting apps are popping up in the market. It has become really very tough for you to weed out the poor ones and focus on the best ones. I have gone through and done ample research and gathered some of the best budget apps given below in this guide. So, here we go for the detailed discussion of the top budget apps available in the market. The famous most free budget apps are as follows. This is one of the best free budgeting apps, quite well known and very easy to use. In order to help you create a personalized budget, this app can easily sync to your bank account. Mint was introduced by Intuit, thus ensuring you of operating on the same secure platform utilized by many banks. Besides plugging in your banking information, you can also tie Mint into your credit card accounts, brokerage accounts and other lending and financial institutions. Mint also helps you guide your day-to-day spending by categorizing your expenditures, alerting you to unusual spending and helping you reduce the fees you may incur. You can get a great snapshot of your financial picture all the time because mint alerts you whenever you go over budget, keeps you abreast of your credit score and tracks whatever you are spending by category. In addition to all this, Mint also provides a bill paying function that helps you avoid any missed payments that could damage your credit. 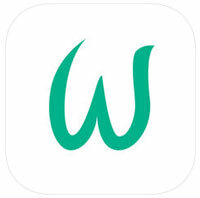 Just like so many other free best budget apps available, Wally also offers apps for iPhone, Android and desktop. Budgeting is Wally’s main focus which is also true for a lot of people. Besides, it tracks your income, expenses and your remaining discretionary income. The tracking of expenses is done by allowing you to enter them manually or snap a picture of your receipt. Wally also favours you with alerts whenever your bills are due, you achieve some milestone such as a savings goal or any other important activity you want to keep a record of. An additional feature of Wally is that it can support almost all the foreign currencies. This easiest app, even accessible from your Apple Watch, is well befitting for iPhones and Android devices and is also available in desktop version. 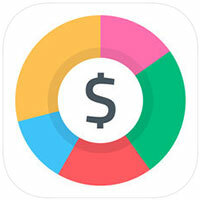 The main focus of this app is to help you manage your spending. Linked to all your financial accounts, this app can give you a complete picture of your finances. 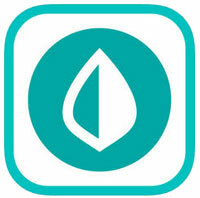 PocketGaurd is meant to track your income, savings and bills throughout the month. Moreover, it keeps a good watch on your monthly packages like those of phone bill, cable charges, internet fee, etc. and looks for ways you can have better deals in this regard. The specialty of this fantastic app is to help you manage your cash flow by projecting out your future expenditures and accounting for your income. Its interface is quite easy to use offering very simple charts and graphs to present your real financial status. Besides being a budgeting app, Simple also serves as a bank account in order to keep a check on the interactions between your banking transactions and budget. Simple also offers an excellent safe-to –spend feature to keep you aware of your budget track and let you know if you are free to make some good purchase. Likewise, the savings goal feature encourages you to keep saving through consistent motivation. You can track your income and expenses automatically if you have your budget and bank account inside the same app, saving you a lot of time and energy making manual entries. Compatible with all the devices and offering you great visibility into your money matters, Simple is absolutely free to use. Meant only for iPhone, Budget is a simple and intuitive budgeting tool with a lot of easy-to-manage categories to help you keep a tight hold on your money. Focusing on daily budget management and giving you a clear insight into your finances, this little budget app makes it easy for you to add your income and any recurring expenses to get you started on budgeting. Budget enables you to view your daily status and determine if spending is in keeping with your budgeting goals. It helps you make better decisions and curtail unnecessary spending and impulse buys. Budget can also favour you with cash flow projections at some points in the future. 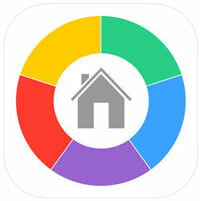 Out of so many home budget apps, following are the best ones. 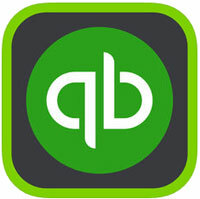 Designed to help separate the personal expenses from the business ones and making the quarterly or year-end tax times easy as pie, QuickBooks Self-Employed is the gold standard for freelancers and other independent contractors. With a bunch of quality features, this app helps you track your expenses easily. For example, your mileage can be tracked on the basis of how fast your phone is moving through space. You can also take photos of your receipts with the help of this app and it can also find tax deductions for you if you just categorize your transactions properly. This app also endows you with TurboTax to help you file your taxes, making you tension free regarding this task. Just like so many other budgeting apps, Mvelopes enables you to retain the specific details of your spending patterns by tracking all of your income and expenses in a single go. 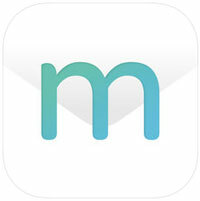 Mvelopes uses the familiar envelope system of budgeting, though in electronic format. A custom budget program under the name of money4life coaching is also there to impart you live phone support, one-on-one coaching and other programs to help you save money. A typical budgeting app, enabling you to track and automate your budget, offers you a free 34-day trial. 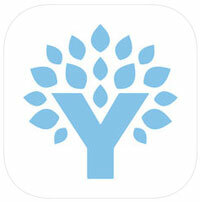 YNAB gifts a wealth of information and tools on the site along with various classes about personal finance topics. Able to run on both Windows and Mac, it also has a mobile app feature as well. YNAB has a bit different budgeting principles in that it likes to have you live on the last month’s income. Practically this has proved a good tool for managing your money. If you want to encash the benefits of automating good financial behavior, but consider it too complicated, Acorns is the solution. It is rated as the best app for painless savings. 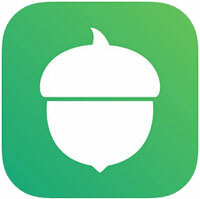 What Acorns actually does is to invest the change you receive whenever you make a purchase with your card connected to this app. It also rounds up the change to the nearest dollar and invests it automatically in a portfolio of low-cast exchange-traded funds(ETFs) which you select as per your risk preference. 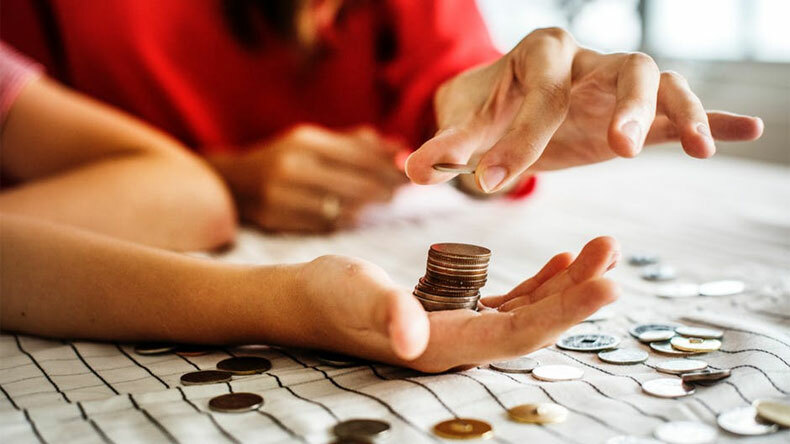 In this way, you can start putting your spare change towards your future, which was, otherwise, very hard to plan and even harder to understand. This app also facilitates you to track your investment progress and check your growth time to time. All this is done in an utterly painless way without your even knowing about it. This app suits you if you need to budget what you spend day-to-day just because your finances are too strapped. This app designs your daily budget in a very simple and impressive way. It enters your income and recurring expenses, adds a percentage of your income you like to save and then divides each item by the number of days in the month and then adds all together to give you your daily based budget. This app confers you the privilege to see how much you can afford for the day and how much for tomorrow if you do not spend today and also how much you can splurge on if you don’t spend anything for two days. This very facility enables you to groom yourself as per your daily budget allows you to spend. 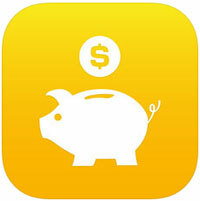 You can save for something special if you can learn to stick to a budget planned and monitored by a superb iPhone app. 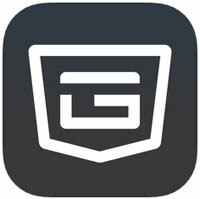 Goodbudget meets all the requirements of an excellent budget-app. Here you can manually input both of your recurring and occasional expenses. Then you can enter the maximum amount you need to spend on specific categories including car payments, house installment, dining outside, etc. With the help of graphic overview, you can easily see how close you are to going over budget. An additional feature of home budget app lets you sync your budget with that of others by including their income and expenses and, hence, it enables you to work together with members of your household to budget and plan for the future. 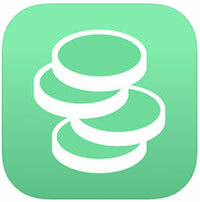 An ideal budgeting app for Mac should cover a lot of areas simultaneously. It should be family-focused, helpful for business, centered on Finance, etc. We have selected the following three budgeting apps for you to choose from. 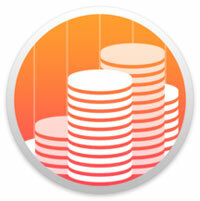 This is a fantastic budget app for Mac and covers all the bases. By using its software, you can see all of your accounts at a glance and record detailed transaction. The latest version of Moneydance has an added feature of more mobile compatibility and a powerhouse for tracking every aspect of your budget including complicated investments. You can also get it connected to your bank account and avail free bill pay services so that you may stay on top of your monthly expenses. As reflected by its name, Omnifocus covers almost every aspect of your finances, making it sometimes appear not just a budget app but a lot more as well. This app has a superb excellence in creating detailed to-do tasks, reminders, shopping lists, well planned home improvement projects and successful shopping trips within your financial capacity. Again, Omnifocus 2 is the ideal complementary app to your finance pursuit. This is a legendary budget app for Mac, much different from other apps in being an open source. It offers free download and tons of customization for your specific situation. You will search through plugins and optimize a lot to make it work for you. From its own very framework, you can find solutions for transaction matching, investment accounts, full double-entry accounting for business work, reports and graphs, scheduled future transactions and many more. You will find a lot of content in trade being with Gnucash though not the simplicity and fancy interfaces of other apps. Being a versatile platform and a home to nearly 3 million applications, Android is undoubtedly a big game. Hence, there are scores of apps on the play store ranging from games to productivity and some simple bizarre apps. Same is the case with the all important budget apps which are there to keep your finances in check. So, how to pick the best is the question. We have worked hard and found out the best apps meant to keep a tab on your monthly budget. Provided that Google has personally picked these apps, you may be dead sure that these are the best in business. Under this fabulous budget app, your finances and expenses are tracked excellently, keeping you aware of where you have spent your money and where you overall stand financially. This app also blesses you with customized wallets for special occasions like weddings, birthdays and anniversaries. These wallets have nothing to do with your primary wallets, helping you keep those expenses separate. Neat little Infographics are also there on board to tell you about your holistic financial position. Shared accounts with your family members will let you know the way the people around you are spending. You can enter your expenses in various currencies, which will benefit you if you are looking to travel to travel to another country. The synchronization of data makes it absolutely secured without any leakage at all. 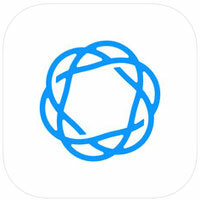 Like an icing on the cake, Spendee is a totally free app to download. 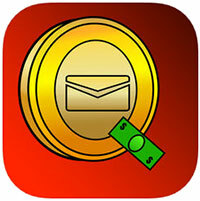 The developers generate revenues from a bunch of in-app purchases offered by this app. This is an interactive app to track your finances thoroughly, giving you a detailed rundown of your expenses and adding them in different categories. You may come to know where you frequently shop and eat after a few days usage of this app. A crucial feature of this app is that it informs you then and there in case your bank charges you an extra fee on your account. To give you a before time reminder about a liability on your part is another special feature of this app which saves you future embarrassment. This app is a free download and compatibile with devices running Android 4.4. Compatible with Android 4.1 and up, and having about 5 million installs on the play store, this app is very thought-provoking and popular. It tracks your expenses in a quite hassle-free way by hooking up your bank account with itself. You may get a very good idea of where your finances stand by a real-time synchronization with the app on the part of your bank. Besides giving wise suggestions on how to meet financial goals, wallet also supports multiple currencies, making it easy for you to travel abroad. Moreover, Wallet comes with an easy-to-use interface and can be downloaded for free from the play store. From the all above, we can conclude that the core features of the best budget apps are pretty much the same with a few differences, and their developers can only introduce novel onboard features or the appearance of their applications. So, you can try any one of these apps right away.